Lately, it seems many of Israel’s friends are missing in action. So it was a pleasant surprise to meet a group of good friends in San Fernando Valley, California, at Panorama City. 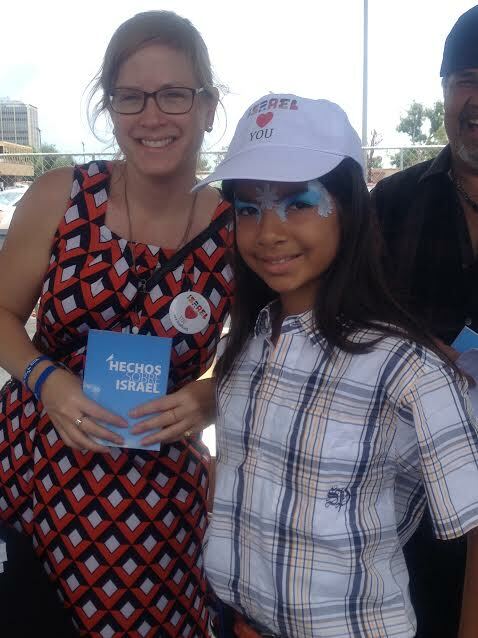 A Back-to-School event, hosted at the Panorama Mall shopping center, last Sunday, promoted family, education and Israeli, American and Hispanic culture. It was organized by the Consulate General of Israel in Los Angeles, in partnership with the Panorama Mall. The real estate mogul, the Macerich Company, that owns Panorama Mall, the Legaspi Company, that oversees the Vanguardia properties, that includes Panorama Mall, owned by Macerich, and the Consulate General of Israel gave the 3500 attendees’ families a unique opportunity to look, touch, feel and hear Israeli and Hispanic cultures. 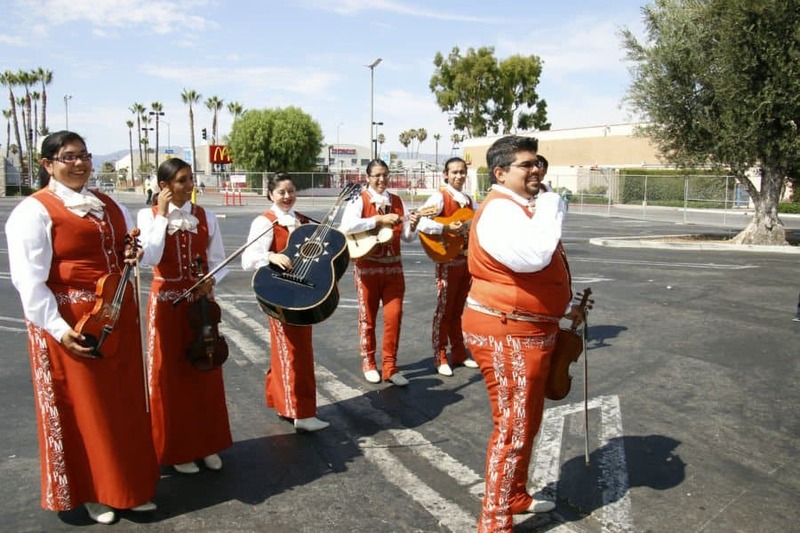 There was a belly dancing display, lessons in Israeli folk dance and a Mariachi group. The event included thank you speeches from the official sponsors, live music, dance performances, food trucks, activities, community information booths, boutique vendors, giveaways, and a community presentation. The Latin-Grammy nominated Trio Ellas, Villalobos Brothers, and Sol Tevel, connected Hebrew roots while engaging world cultures with their reggae-inspired rhythms. The Consulate General of Israel brought a piece of Israel to Panorama City, allowing more than 3500 people to experience Israel without actually being there. There were interactive workshops, community booths and plenty of delicious food, allowing all in attendance to see, hear and taste something of Israel. 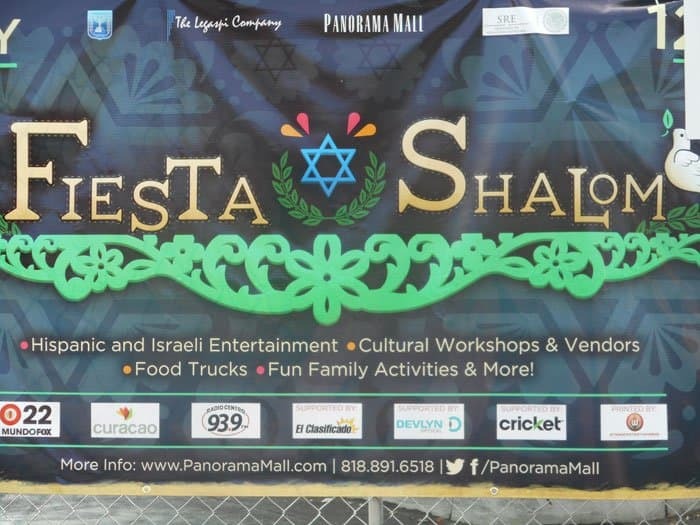 Fiesta Shalom at Panorama Mall is an inspiring event that unites many people as one, as they celebrate shared values in education and culture.